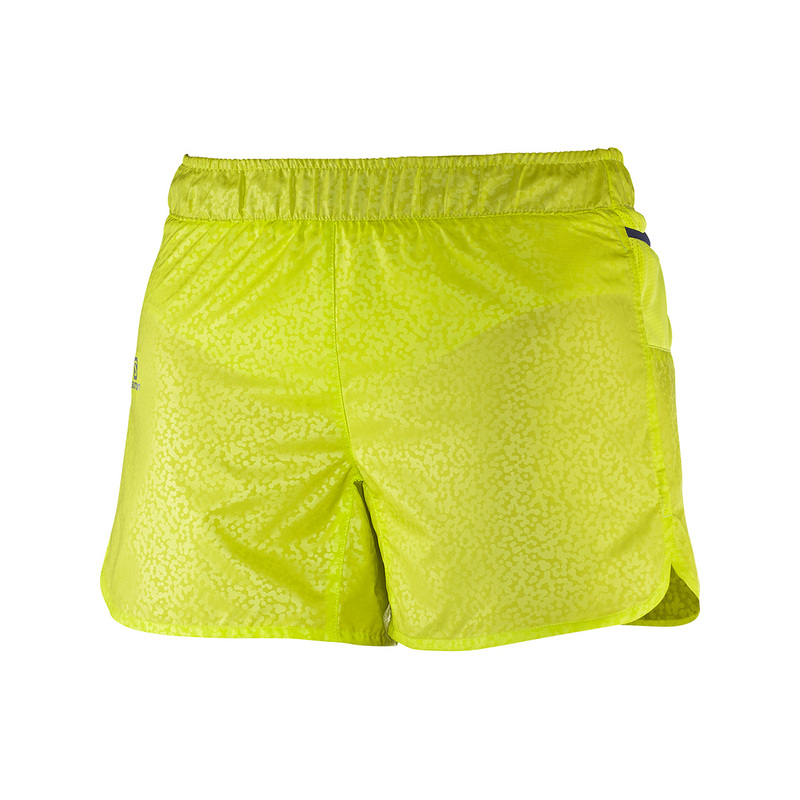 The Salomon Women’s Trail Runner Short is a versatile sports short, whatever your activity. Advanced Skin ActiveDry technology in this 4 inch inseam short ensures you are comfortable and dry whilst exercising, as well as shielded from the sun with UPF50 protection built in. The fit is personalised through a drawstring and semi elasticated waist, and the integrated slip provides further protection and support. Never feel you are missing anything on your run with pockets for gels at the front, as well as a zipped back pocket. 100% Polyester. Salomon’s Advancedskin DRY is the brand’s proprietary membrane fabric that’s waterproof and breathable to 10K / 10K. This membrane is full tiny of pores that are big enough to allow water vapour from your skin (ie. sweat) to pass through but are not big enough to let water droplets in, which provides a decent amount of weather protection without causing you to get all clammy when you’re working hard. Advancedskin DRY is also super lightweight and packable, making it ideal for highly aerobic activities.